I have been fortunate over the many years of my career to serve as a legal commentator to local, national, and international media organizations in a number of different areas, particularly having to do with criminal law. I enjoy working with the media, and believe that we as lawyers have an obligation to help educate the public about the issues that appear in the media. Keep in mind that most of the public knows nothing about the legal system, other than what they see on TV, which is somewhat scary. As a legal commentator, we have the opportunity to help the general public understand what is happening in the courtroom, why lawyers are doing what they are doing, what judges are looking for, what judges base their rulings on, etc. Believe it or not, many people really do believe what they hear/see on TV, on the radio, and in print, which is why it is so important for us to get it right, do it right, and be a great representative of the legal community. First, let me debunk some myths about legal commentators. Very few lawyers who are “talking heads” ever get paid by the media. Reporters know that there are hundreds of lawyers out there who are happy to give quotes for free, just for the publicity. Therefore, unless the media is looking to have a relationship with just one legal commentator exclusively, we don’t get paid. If a person is getting paid, the general understanding is that the commentator will be exclusive to that one media outlet. Here are my suggestions to becoming a trusted legal source for the media. Build relationships. Often, reporters have no clue who to call about an issue. When I was in the District Attorney’s Office, my name was mentioned in a newspaper because I was handling a particular case. I started getting calls because people saw my name and figured it was a place to start. You may see a story in the paper about an issue dealing with a particular area of law that you are familiar with. There is nothing wrong with emailing the reporter and introducing yourself as someone who has knowledge about that area of law. If you have written an article about that area, send it to the reporter, give them your background, and let him or her know that you are available if they have any questions in general, or if they wanted to quote you on something pertaining to the topic. You may even offer to meet the reporter for coffee. The same is true even if you don’t see a particular story. If you know that there is a reporter who covers a certain area, whether it’s education law, or the courts, or elections, etc., you should feel free to contact that reporter and introduce yourself. Your number then gets put into a reporter’s contacts and they know that they can contact you for help when an issue comes up. Be knowledgeable. Although I have been practicing law for 33 years, there are still many things I don’t know, even in the various areas I have practiced. I am continually looking at changes in the laws every year, amendments to the rules of evidence, procedure, and so on, to make sure that I am up to speed on everything. I may think that I know what a rule of procedure says, but I never speak to the media without double-checking. Be prepared. Don’t feel the need to answer a reporter’s questions the minute you get the call. There is nothing wrong with saying that you need to call them back (within a short period of time). Ask the reporter specifically what it is that they are wanting from you. Before you call them back, read the court filings, or look at other news articles on the subject. Google the issue and see what’s out there. Make sure that when you call the reporter back, you absolutely know and understand what the issue is and have time to think about how you are going to answer the question. Be available and return calls as soon as possible. Make sure reporters have your cell and work phone and check your messages! Understand that reporters are always on deadline. Ask what their deadline is so that you know when it is that you need to respond. Keep in mind that when a reporter leaves a message for you, they are not sitting around waiting for you to return their call. They are calling other lawyers to find someone who is available sooner rather than later. Always assume everything is on the record…because most of the time it is. Once you have established a relationship with a reporter, and trust is built up, there is nothing wrong with asking if something can be off the record. Wait until the reporter actually responds that it is off the record, before saying something you might regret if you see it in print the next day. Learn how to talk in sound bites. Sound bites are 10 seconds or less. Reporters are looking for quotes that sell stories, that sound good, that don’t take up too much time or space, and that they can easily edit. We lawyers have a tendency to ramble on a bit, so practice speaking in sound bites. Speaking in plain English is more important than being able to explain an issue in legalese. A legal analyst is valuable to the media because we can help them understand the significance of certain motions or developments in a case. Also, there are often cases where there is a gag order and the attorneys in the case are not able to speak to the reporters or they are unwilling to do so. The reporter still needs quotes to break up the monotony of describing to the public what happened in court. Legal analysts are especially valuable to the media in filling that gap. Be someone who reporters trust. A reporter has to know that whoever they are quoting knows what they are talking about. Be credible. Reporters love people who teach classes, or who have had similar cases, similar clients, or who write articles about the particular subject. The more expertise the reporters feel you have in a particular area, the more they are willing to call you. Reporters also respect people who admit that they don’t know something. There is nothing wrong with telling a reporter that you don’t know the answer to a question, but that you will call them back with the right answer, or find out the name of someone that they can call who will know the answer. Commentators develop reputations like courtroom lawyers do. Media is a competitive market and sometimes you see stories where lawyers take one side or the other. I will tell you that the lawyers who take sides and make arguments about who should win are not the people who get called most often to be legal commentators. They get called to entertain the public. I do not feel that our role as a commentator should be to take sides. Our role should be to educate the reporter and educate the public about the legal issues in a case. Maintain your credibility as a lawyer. I also don’t think it should be our role to criticize other lawyers, a judge, or other parties in a case. Again, the lawyers who do that are the ones who get called to entertain the public, not to educate the public. It is not fair for us to criticize people in cases that we generally know nothing about, except for what we also get from the media. It doesn’t help our credibility as a commentator or as an attorney, and I frankly think it’s unprofessional. Being a legal commentator is really a great “job,” particularly for those of us who truly believe in helping educate the public about our profession, and the issues we encounter as lawyers. Just understand that it takes a lot of time, preparation and work to do it in a way that honors our profession, as opposed to being one more example of something that provides more ammunition for yet another lawyer joke. 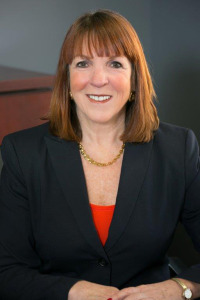 By Karen Steinhauser, a trial lawyer and owner of The Law Office of Karen Steinhauser, LLC, focusing primarily in the area of adult and juvenile criminal defense and family law. Karen serves as an adjunct professor at DU Law School, where she teaches Evidence and Trial Advocacy, and is also an instructor for the National Institute for Trial Advocacy. Karen also serves as the legal analyst for CBS4 in Denver, and as a legal commentator for national and international media.